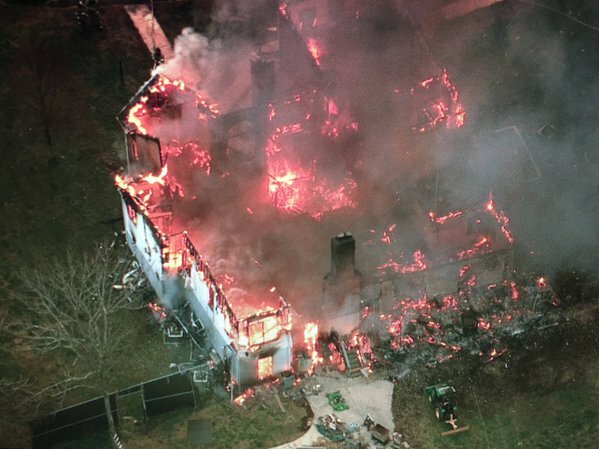 A large home is a total loss after a fire this morning in Accokeek. At around 7:00 am, Monday, January 4, firefighters were alerted to a house fire in the 15400 block of Jamies Way. 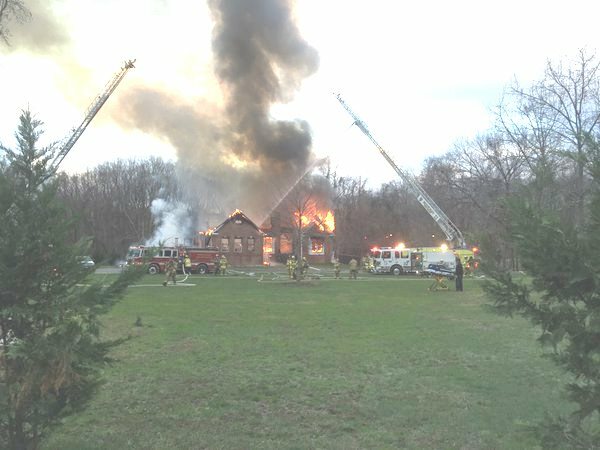 Firefighters from the Accokeek Fire/EMS Station arrived first and reported a 2-story house with fire showing from both floors. Other arriving firefighters on the rear of the house reported similar information and that fire was showing from the basement of the home as well. Within a short period of time of arrival a collapse of the 1st floor occurred, fortunately, no firefighters were inside at the time. Because this area did not have any water hydrants in the immediate vicinity a water supply task force was sounded sending several water tankers to the scene. 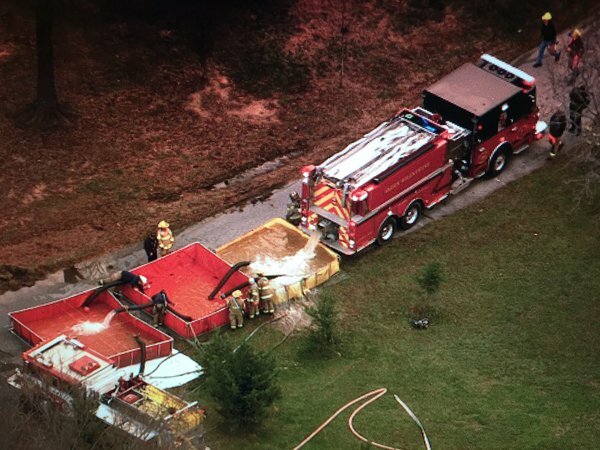 Water Tankers or Water Tenders, carrying upwards of 2,000+ gallons of water each, reported to the scene and provided water into a system of portable tanks that supplied water to the firefighters. With the exception of the first few minutes of arrival the fire was fought from the safety of exterior positions. There was one occupant at home who noticed the fire and was able to escape safely with two dogs. The house was built in 1999 and is over 4200 square feet. 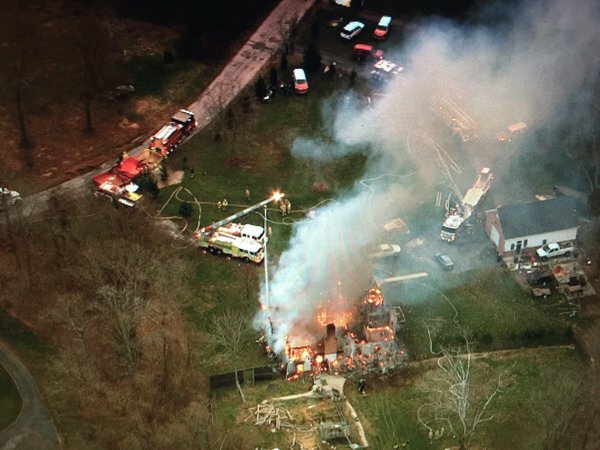 The home was equipped with both smoke alarms and a residential sprinkler system. Part of the fire departments investigation will be to determine the role of sprinklers at this incident. It is apparent that the volume of fire encountered by firefighters was enough to overwhelm the sprinkler system. The fire burned for more than 90 minutes and totally gutted the house. 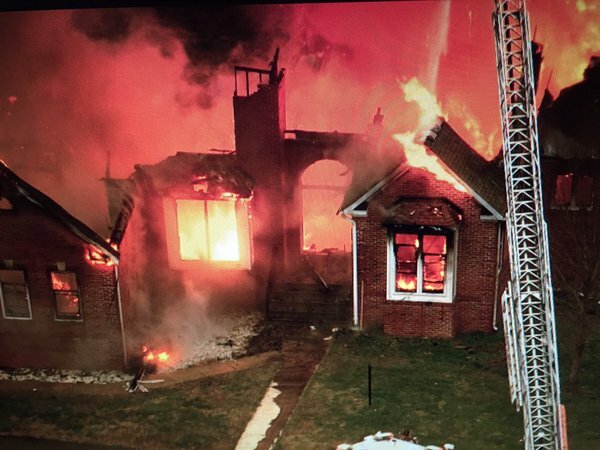 What did not burn off from the roof and 1st and 2nd floors collapsed into the basement. Fortunately, there were no civilian or firefighter injuries. A preliminary fire loss is estimated at $1.5 million. The cause of the fire is undetermined and under investigation. Considering the damage to the structure and amount of debris in the basement it will be sometime before fire investigators can safely make entry. 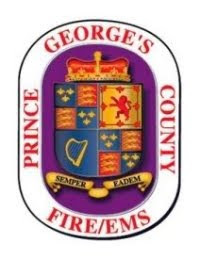 The family of 2 adults and 2 dogs were assisted by the County Office of Emergency Management Citizen Service’s unit and will be making their own living arrangements.